The United Arab Emirates is one of the world’s most incredible travel destinations. The country offers a multitude of things to see, do, and hear. The attractions range from a spectacular mosque to an elaborate display of gold and precious stones. The Sheikh Zayed Grand Mosque is one of the most impressive sights that the UAE has to offer. This massive place of worship cost $545 million to construct, and has the capacity to hold 40,000 worshippers. The building also holds the world’s largest carpet. It weighs 35 tons and covers 60,000 square feet! The structure was named for the country’s first president, Sheikh Zayed bin Sultan Al Nahyan, who was buried there in 2004. The United Arab Emirates offers many sounds; the roaring of traffic, the clatter of goods at market, and the call to prayer multiple times per day. If you’re interested in hearing a natural sound from a unique phenomenon, you’ll need to travel to the south of the country to hear the “singing” sand dunes. The sound, which reminds visitors of a low-flying plane’s engine, is caused by vibrations from when the particles of sand fall on top of each other. Dubai, the capital of the UAE, tends to conjure up images of luxury, so it should come as no surprise that the city is home to one of the world’s largest gold markets. The Dubai Gold Souk is a dazzling open-air market where vendors sell gold, diamonds, and other precious jewels. Even if the wares are a little out of your price range, you’ll need to go just for the experience and sightseeing. Another great option is to visit Masdar City, what was supposed to be the world’s first carbon free city. After realizing that climate change is one of the future’s greatest threats, a UAE company named Masdar planned to create the first city that is 100% green. They developed technology to turn the hot desert sky air into cool air at the ground level. Unfortunately, the city was never finished due to the financial crisis of the 2000s. Today it’s a ghost city. Although the mission was a failure, it’s certainly still a unique destination to visit in the UAE. The UAE has much to offer. 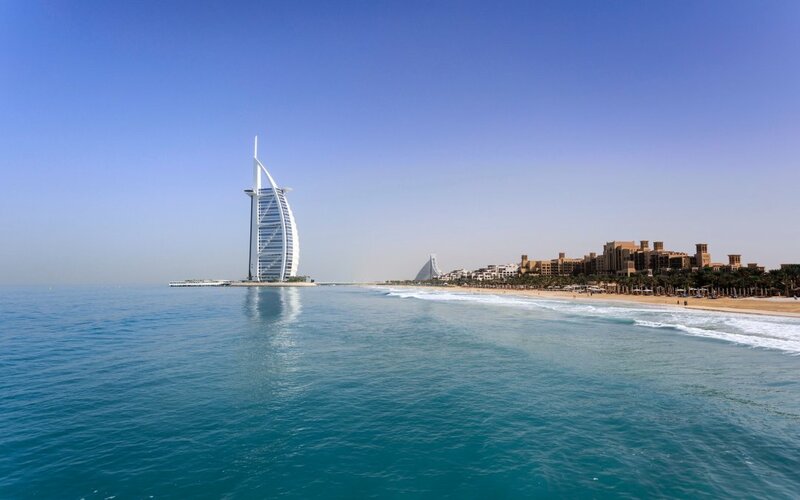 Whether you want to explore the main cities, visit the singing sand dunes, or stroll the empty streets of what was going to be the world’s first 100% green city, you’re sure to enjoy a trip to the United Arab Emirates.